If you need to contact a doctor when the surgery is closed, you should contact the ‘Out-of-Hours’ service directly on 111. Out-of-hours is available from 6.30pm to 8.00am Monday to Friday, all day on Saturdays, Sundays, bank holidays and any other times the surgery is closed. ABMU Local Health Board is now responsible for the out-of-hours service. 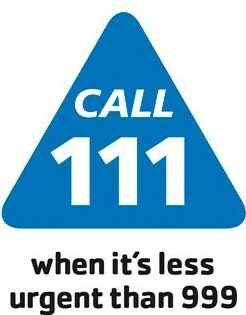 You can also contact the 111 Service (Previously NHS Direct) for Health Information and Advice 24/7. Visit NHS Direct online at www.nhsdirect.nhs.uk.